If you’ve been following along lately you know that I am slowly hacking away at finishing my basement into my workshop. Two things you need to know about this situation before I proceed with this tutorial: #1 I am doing everything as inexpensively as possible with little to no regard for how things might “look” and #2 There is little to nothing here that I am doing conventionally and I know well that some people might think it looks “weird” and I’m ok with that! 🙂 Anyway, my basement needed one thing first and foremost before I could start work on it at all. LIGHT! Up until I started in on this job I had three bare bulbs wired up down there because we had to have something but they were really adding to the creepiness factor. It was time to light this basement up like a Christmas tree! Problem was though – I had no budget to do it! 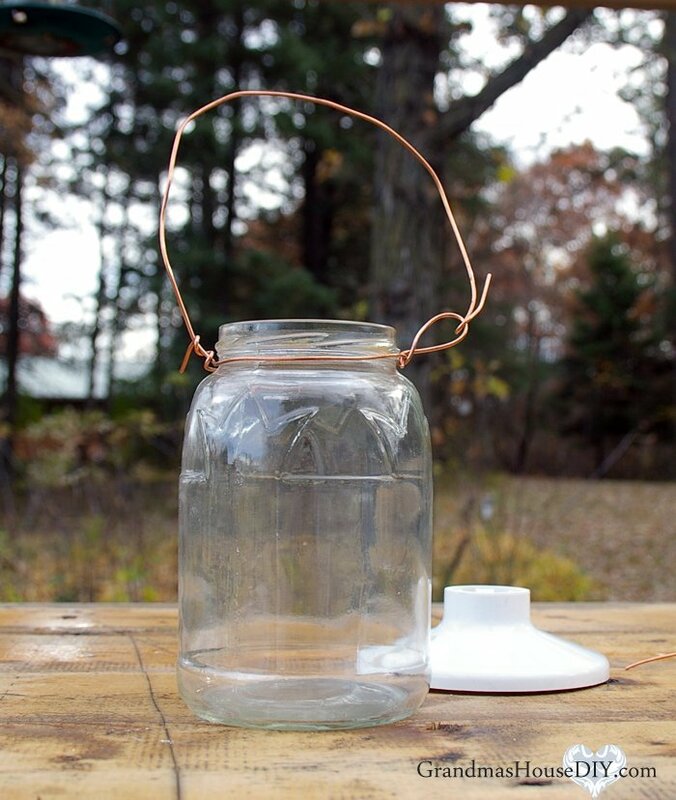 So, I went to the drawing board to make my own jar lights. I have a certain amount of “extra” electrical wire laying around from when I ran all of the electrical in my home during the renovation and I’ve been recycling it into various projects by stripping it down to the bare copper wires. I love copper, it is so pretty! I also have a whole pile of leftover jars (some Mason, some not) that my grandma left behind in her passing so I went through them all and came up with enough matching jars to do the whole basement! I may have went a little overboard but this basement has been so creepy for so many years that I wanted light, upon light, upon light! All in I put ten new bulbs down there in only 400 square feet of space! I love it! 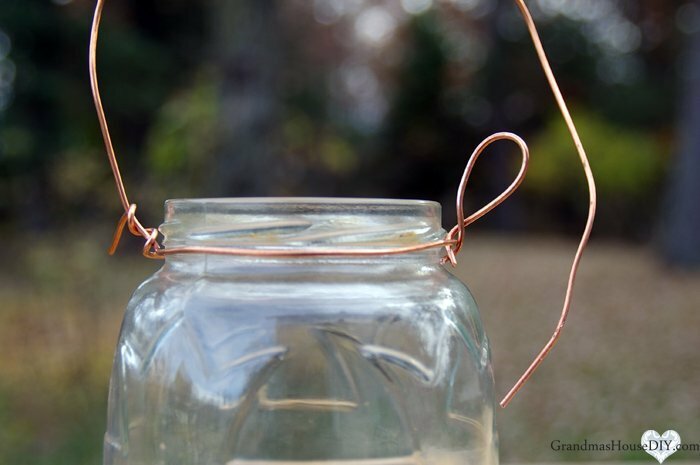 To make the jar lights I wrapped one copper wire (this is 14 gauge so it is really easy to work with) around the head of the jar as low as I could and as tightly as I could by using my wire pliers and twisting the wire around itself. From there I cut a six inch piece of wire and made a loop on the opposite side. After installing the keyless lampholder to my round electrical boxes that I installed across the ceiling, I put a bulb in it and then grabbed my new jar light cover. 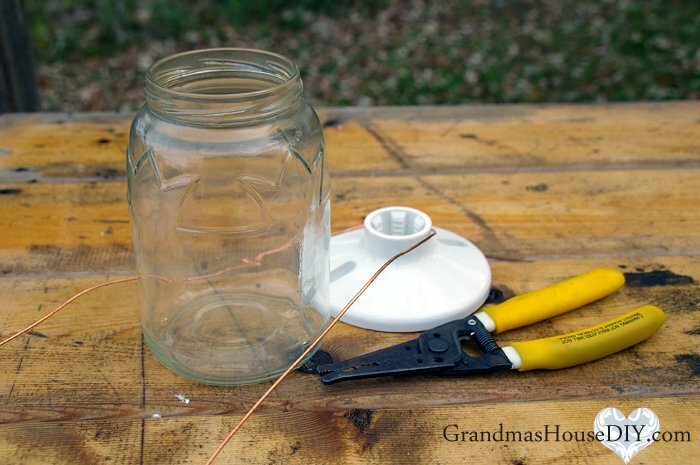 I simply looped the copper wire over the top of the electrical box, tightening the jar right up completely over the bulb and then using the little loop I made to “tie” the wire off by looping through it and giving it a couple of twists. All done! 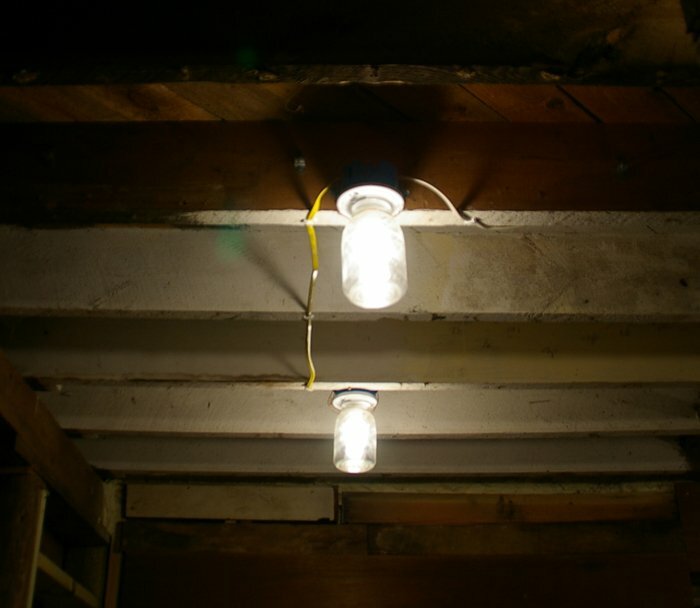 *clears throat* For those online who like to pretend to be licensed electricians and/or electrical inspectors: My basement, with all ten of these jar lights installed passed inspection this spring. I always encourage everyone to double check with their local codes before doing anything, however, my state has some of the strictest electrical codes in the country and these jar lights passed literally without a second glance. Thanks for your concern though. So that’s it guys! I can’t wait to finally get some more things done in the basement so I can show you some more projects! If you notice the square light surrounded by 2x6s in one of those pics that looks like an old window – that’s a florescent light I got free from a friend that needed a cover so, I made one! That’s the project I’ll be posting about next week, it was amazing how much more light it added! Because I already had the jars, the wire, the tools and the electrical boxes this project cost my less then $1.30 a light! You can see the exact keyless lampholders here on amazon. These things WORK guys! I have already wacked them several times with boards and they barely even move keeping the bulb safe as can be. One note here: If you’re using LED bulbs remember some of them can not be entirely covered. Thanks for coming by! Michelle, for sure, all that light made the basement a place we actually want to hang out now! Thank you! Thanks Helen, have a happy holidays! It is truly amazing what light can do! Thanks for coming by Emily! That is such a clever idea and I like the farmhouse jar look even in the basement! Great stuff! Thanks so much for sharing at Sweet Inspiration this weekend! Very cute! 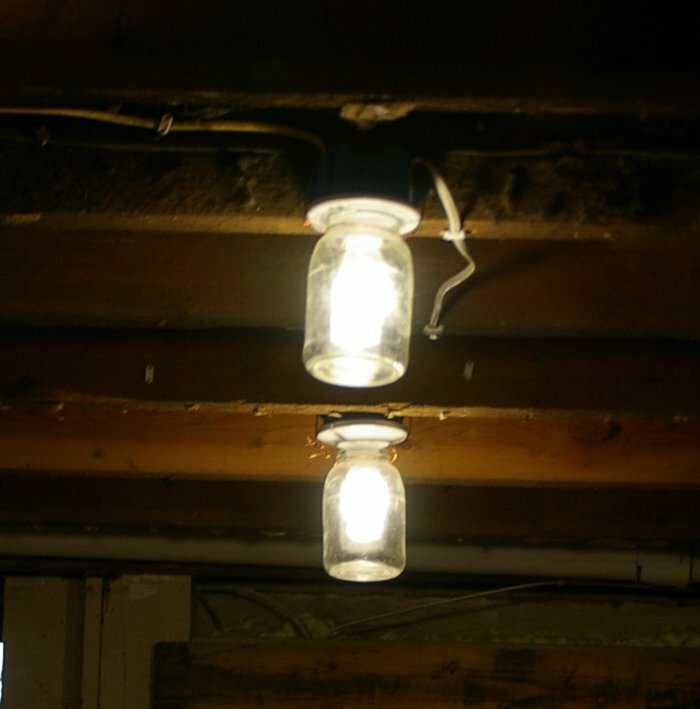 I have some jar light covers in my basement kitchen, but I didn’t make them myself. Thanks for sharing with SYC. 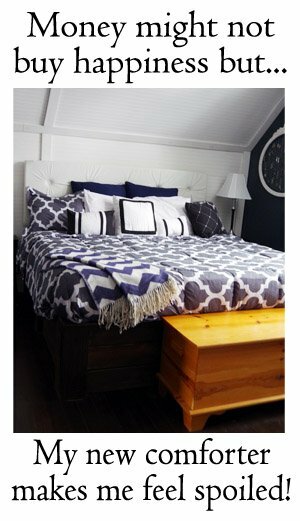 I love this look and it’s perfect for a garage! Thanks for sharing at Over the Moon. I’ve enjoyed following the progress with the house. 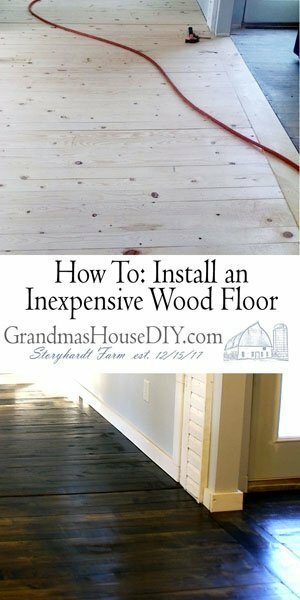 Looking forward to your basement projects! 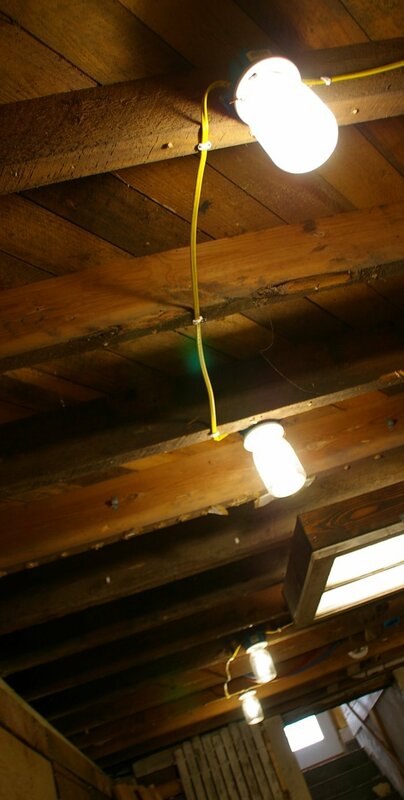 Those lights look excellent in your basement! Great job! I love it! Clever idea. Thanks for sharing with us at Funtastic Friday Blog Hop! 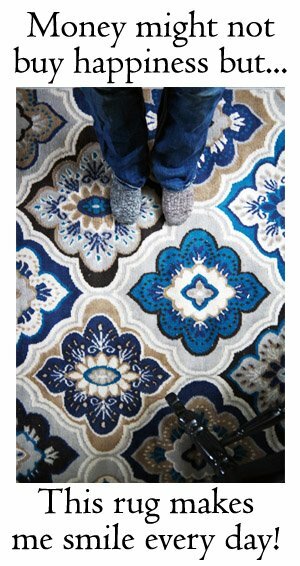 I love that you’re finding such creative solutions for your home. 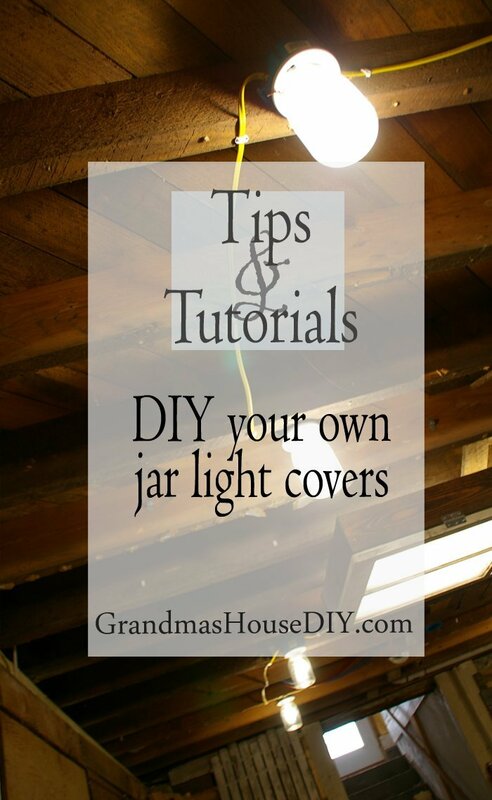 These jar lights are so fun, and look like they’re a lot better than just a few hung up light bulbs! Thanks for sharing at the #happynowlinkup! Smart idea for a basement workspace! Thanks for sharing at Home Sweet Home! 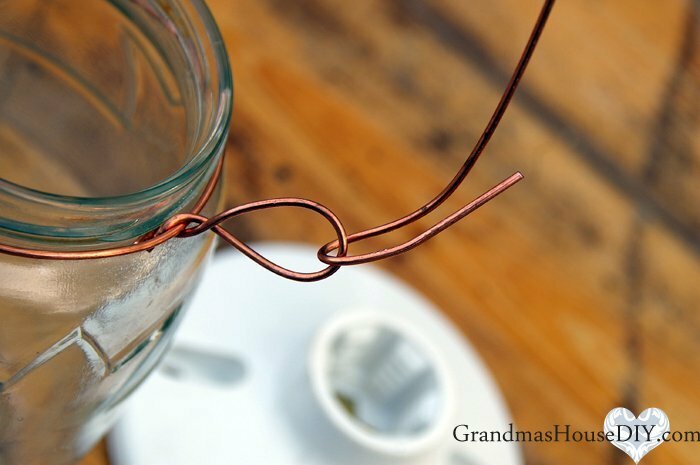 Great idea for mason jars. Thank you for sharing your idea at the Snickerdoodle Create~Bake~Make link party! Thanks for coming by and commenting Janice!